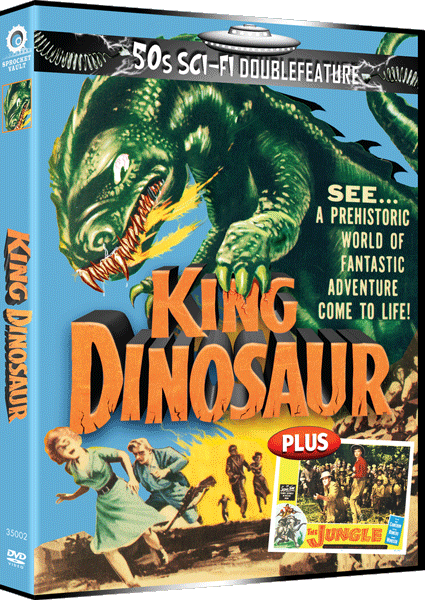 KING DINOSAUR: Atomic Age and Stone Age collide when a new planet appears in our solar system, within sight of Earth, prompting a two-man, two-woman rocket flight that finds giant animals and reptiles, some reminiscent of our planet’s prehistoric monsters. THE JUNGLE: Location filming in India’s rugged terrain is a highlight of this combination jungle adventure/sci-fi with Marie Windsor as the daughter of an ailing maharajah, setting out with Sikh advisor Cesar Romero and American hunter Rod Cameron to investigate the destruction of some remote villages–and encountering herds of wild elephants and prehistoric mammoths! ANIMAL DESIRES…HUMAN LUST! Matt Farrell (John Ashley) is plucked from the sea while skindiving and taken to the foreboding fortress of Dr. Gordon. He is to become part of the doctor’s diabolical experiment to create a race of super people. This twisted and maniacal doctor’s experiments have so far only created terrifying and hideous creatures. His human guinea pigs, freed by the doctor’s own daughter, turn the island hideaway into a bloodbath of revenge and terror! Cult Film Queen Pam Grier is featured as “Panther Woman”. Digitally Re-Mastered From the 35MM Negative! 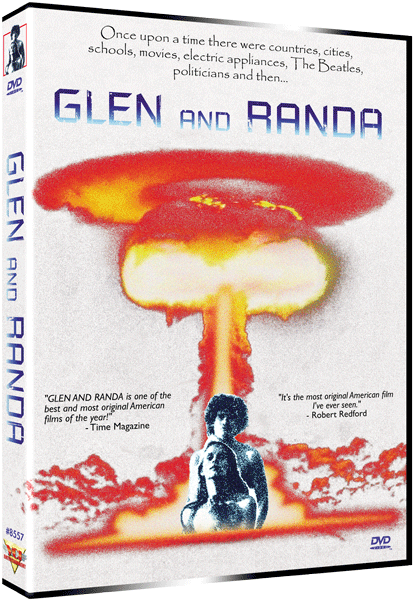 Independent filmmaker Jim McBride (David Holzman’s Diary) follows a hedonistic, innocent young couple as they roam the post-apocalyptic world in search of a fabled, unspoiled city of dreams, The record of the journey is Glen and Randa, a primitive, desperate odyssey by the last bewildered survivors of an atomic holocaust, stumbling throughout the wreckage of a vanished civilization. Transferred from the original U.S. release negative. Transferred from the original negative.